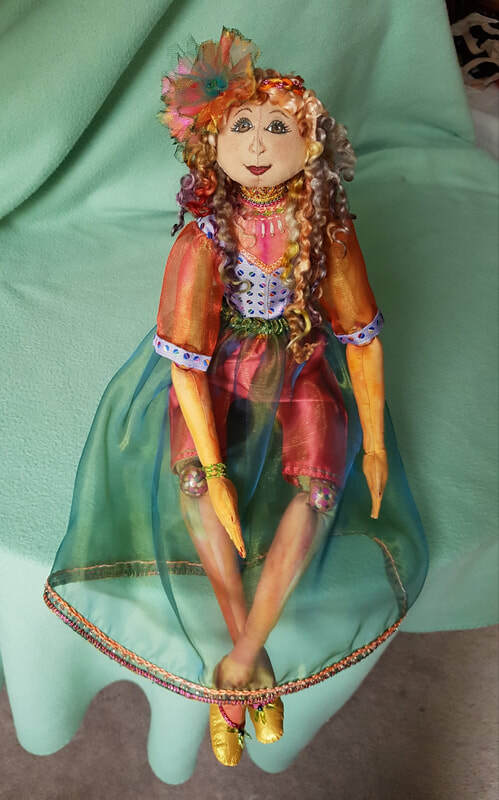 Once my cherry blossom project was done I worked on a doll for the Coast Character doll display at Parkgate Library in North Vancouver in May. We each chose a character from a children's book to create. 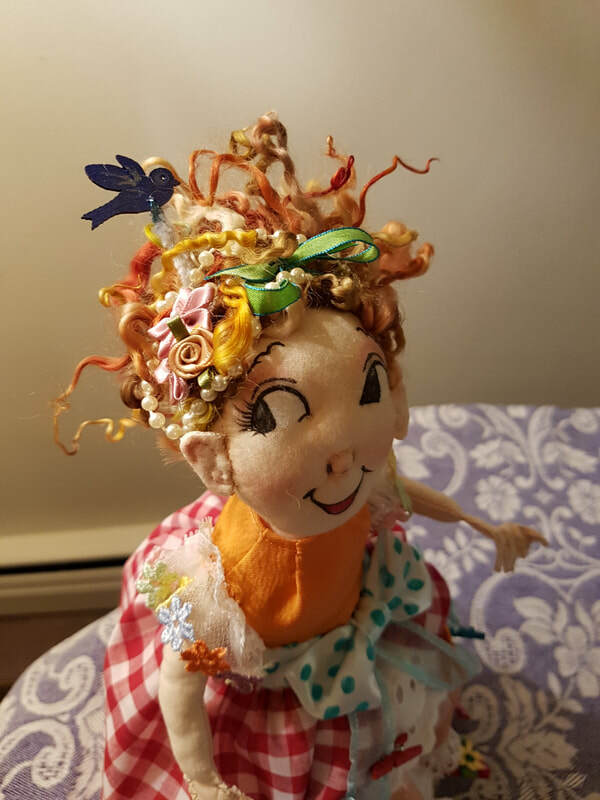 I chose Fancy Nancy. It was fun to try some new techniques and as expected there is more to learn! 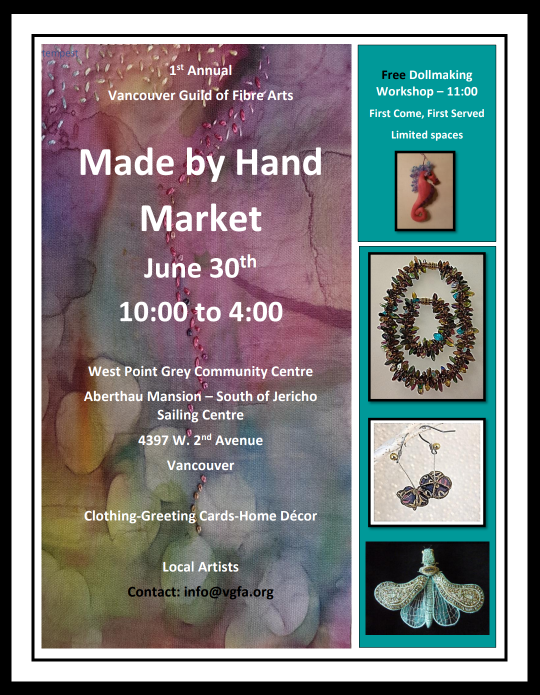 After Nancy was done I began making Art cards for the VGFA "Made by Hand" market on June 30th, our first ever. 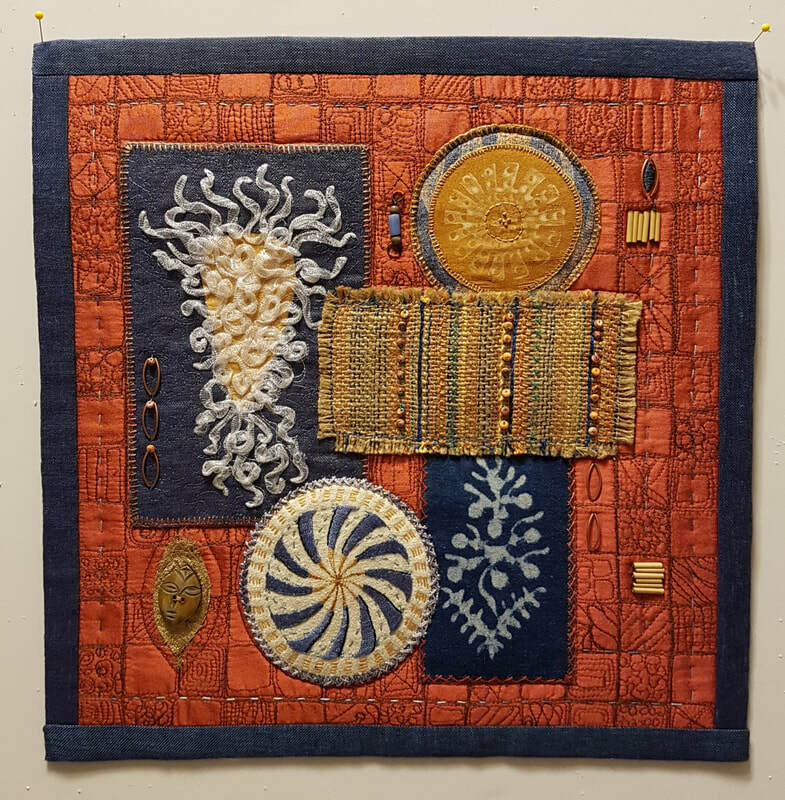 At the same time I was creating a submission for the "Lace" members' challenge at Visions Art Museum in San Diego. The market will be a new venture for me. I designed the poster and learned a lot doing that too! Big lesson was find out what the printer wants for specifications if you are having someone else print it! 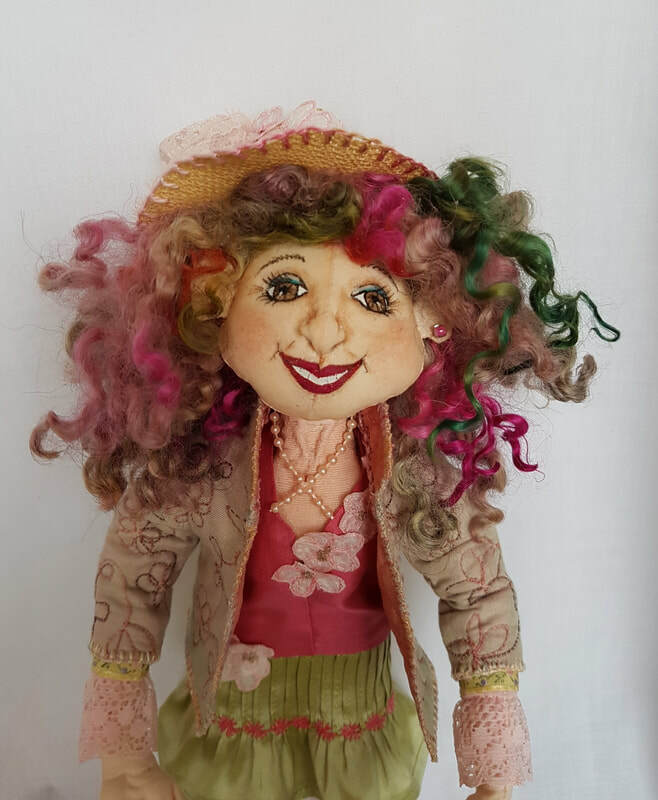 I will now post a bunch of pictures Fancy Nancy and a couple of my cards.the cards are all hand dyed and hand stitched by me. 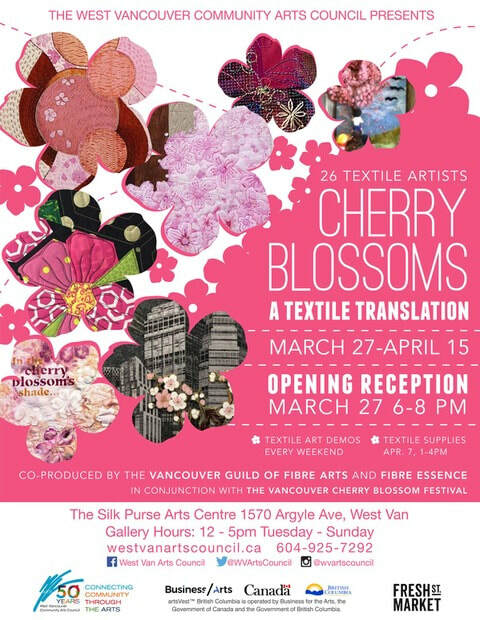 I am exhibiting again this year in the "Cherry Blossom: A Textile Translation" show at the Silk Purse Gallery in West Vancouver, BC; March 27 to April 15th. I have posted photos on my Gallery 2018 page. I took advantage of all the sunny days in July to experiment with sun printing and Setacolor paints. Years ago I tried this but had forgotten the details of how. 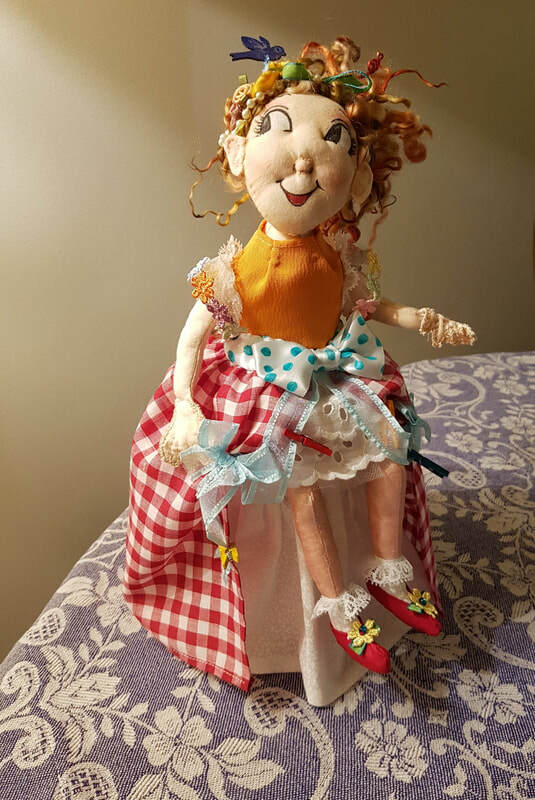 I experimented with buttons, leaves, cardboard cutouts and bits of vintage doilies. I tried linen, cotton and silk. Lessons were learned: Press leaves first, cardboard curls up so try something else firmer, don't use a frame-tape fabric directly to the plastic surface. Mix colors before putting on fabric and do a test swatch (colors looked very different on the fabric than in the container! This is a fun and really easy way to create a new fabric. 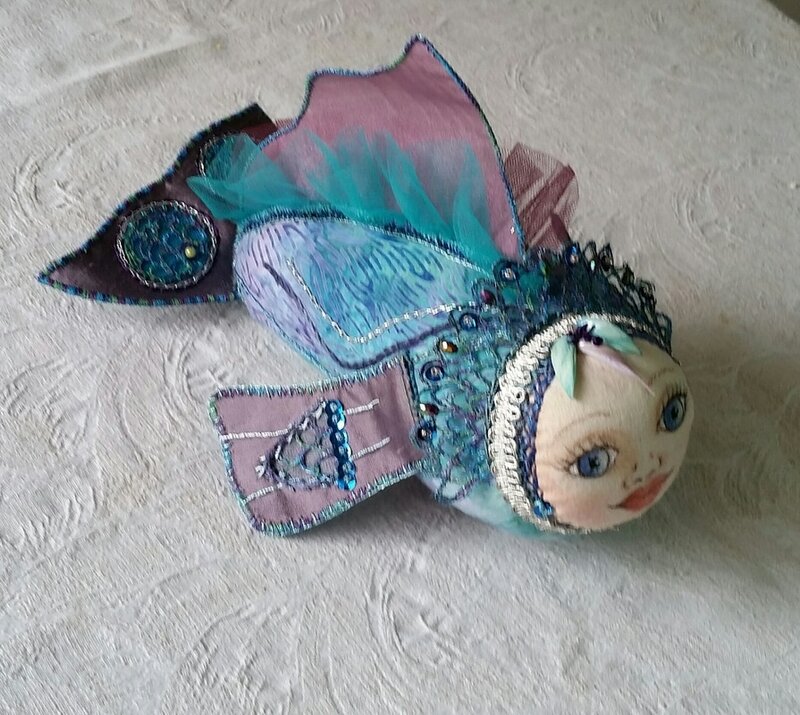 I will post the items I am making with the fabric later.